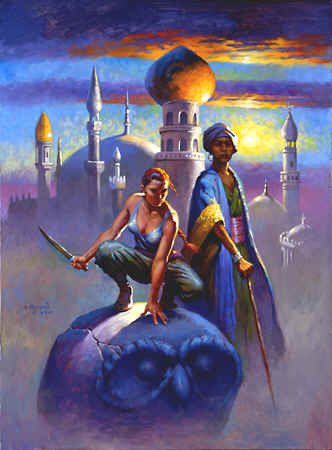 � 1997 Edgar Rice Burroughs, Inc. 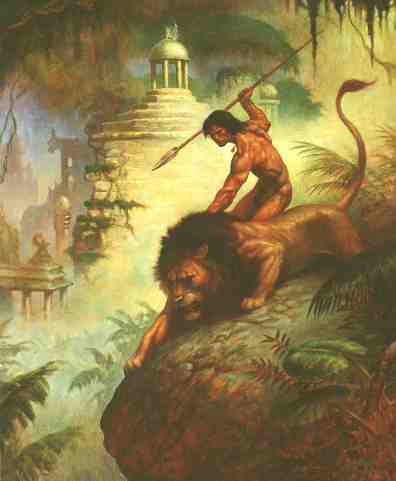 This piece was commissioned by Del Rey for the dual edition of Edgar Rice Burroughs' Tarzan and the Golden Lion and Tarzan and the Ant Men (1997 Del Rey). 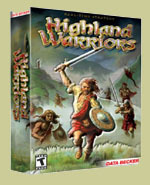 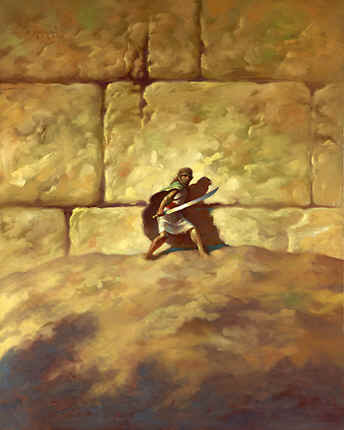 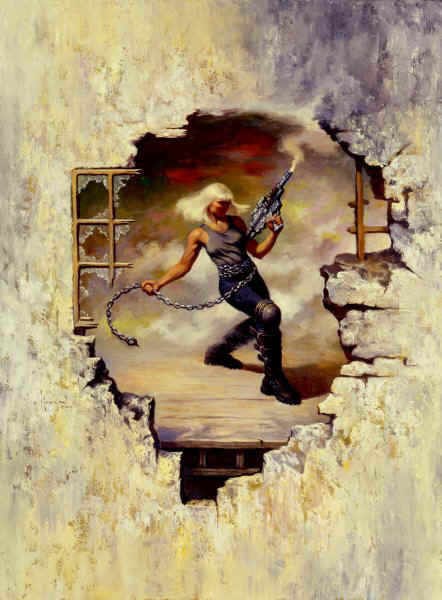 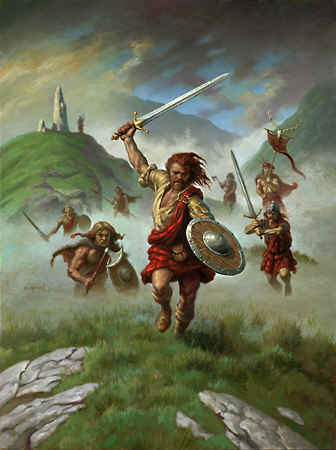 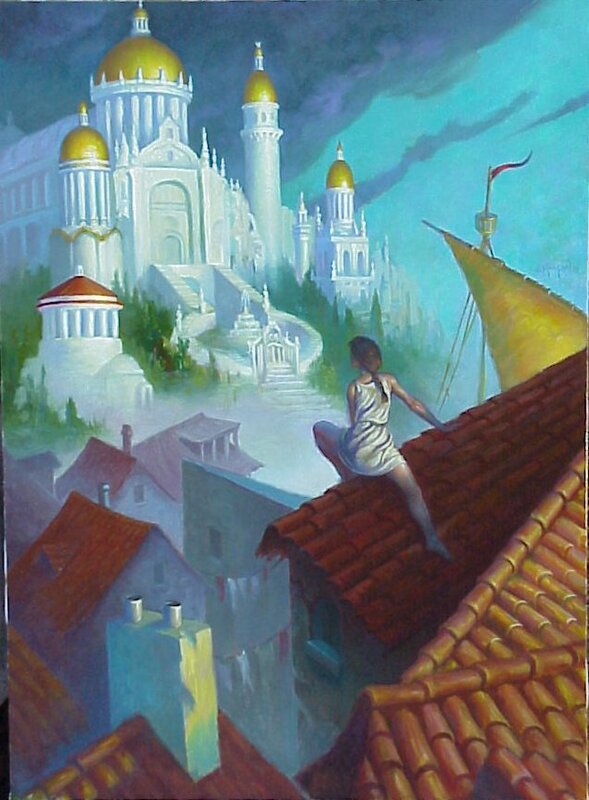 The cover design and layout were already set by previous books in the series, so the painting was composed to fit into a tall, narrow "window", with the understanding that most of the space on the left hand side would be cut out. 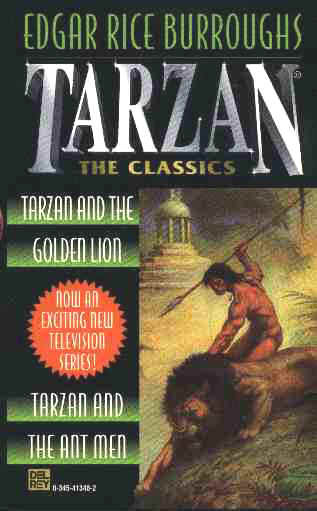 Included in Spectrum 5: the Best in Contemporary Fantastic Art (1998), Tarzan and the Golden Lion was also awarded a judges' choice award at the 1998 World Con Art Show in Baltimore.